We all love them: the Brothers Grimm, Hans Christian Andersen, the new re-tellings of fabulous fairy tales by contemporary authors such as Aimee Bender or Kevin Brockmeier. Fairy and folk tales have a lot of allure. They touch on universal topics, they're strange, they captivate, transport, and feel real all at once. Fables are the inspiration for Ella Bandita and the Wanderer. They're easy to contemporize because they have such universal themes. This post is going to give you a few quick, easy applications for transforming your favorite story into a new, contemporary piece. Want to be inspired? Download your free story of Scheherazade - my retelling. There are, of course, many ways to re-tell a story. You do it all the time when you're telling your friend what happened on the latest episode of New Girl, or when you're describing the jerk at work whose sour attitude always spoils your day (I hope you've more experience with the former, not the latter!). So that's your story telling backbone. Now, take a fairy tale you know a little something about -- it doesn't have to be well -- and try some of these exercises on it to see how you like the story you've created. Write the story from the point of view of the "evil stepmother/brother/witch/sorcerer" and make the reader sympathetic to them. OR, and this is maybe even better, make the sympathetic character the evil one (ie, Cinderella's really a nasty, scheming gold-digger). Ms Litterati recommends this, and it sounds like loads of fun: take away the magic. "A fairytale without magic sounds completely ludicrous at first but it’s a way to put a fresh twist on your story. Think about the movie A Cinderella Story: it follows the storyline of Cinderella without having an actual fairy godmother to wave her wand and help transform Sam, the “Cinderella” character." What are you ideas on how to revamp a fairy tale? Link to your story in the comments if you want to share one! Remember to sign up on our mailing list for actionable advice about self-publishing and fantasy writing. Plus, I'll send you a copy of Scheherazade for free! With the start of September I'm ready to announce the release of the final ebook in the Ella Bandita and the Wanderer story. For my loyal readers, I'm offering it FREE today and tomorrow only! Despite growing up with the Bard's warnings to always follow his heart, the Wanderer loses to Ella Bandita, who curses him to the unfamiliar life of the Wolf. 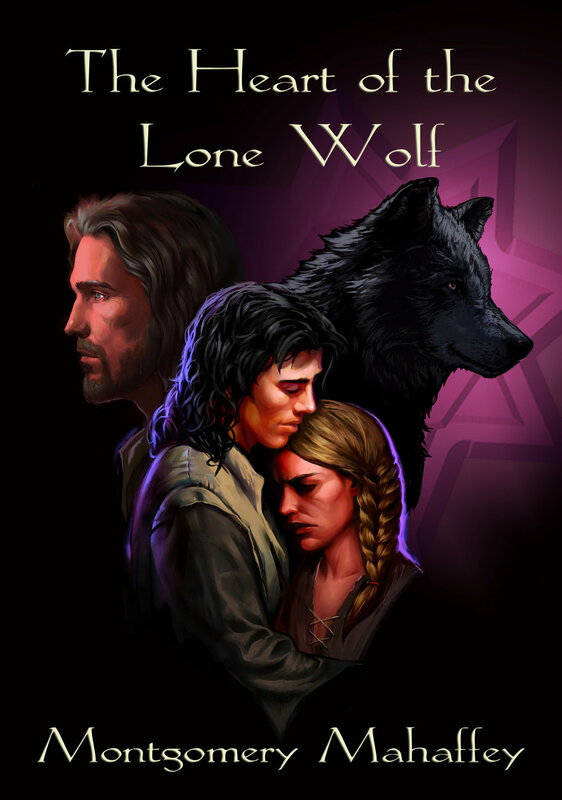 Tormented by memories of his life as a man, the Wolf is overcome with grief and unspeakable loneliness. One day, the Wolf takes solace from the music of a fiddle well played. And thus, the Wolf finds some kind of salvation in the friendship of the Shepherd who spares his life. But the Shepherd has stories and a secret of his own. Together, the Shepherd and the Wolf form an unusual friendship. Each of them will be tested as their journey brings them back to the Sorcerer's Caverns, where the nameless daughter of the Patron sold her heart for a change of destiny and a chance at love. There, they will meet again, Ella Bandita and the Wanderer.